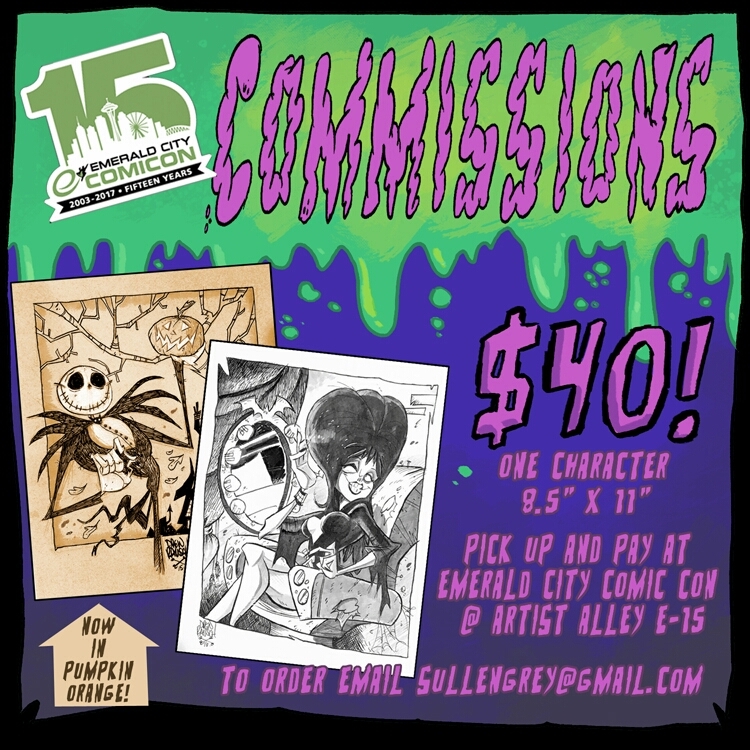 EMERALD CITY COMIC CON CREEPY COMMISSIONS LIST NOW OPEN! Going to Emerald City Comicon 2017? So are Jocelyn and I! You can find our corporeal forms in Artist Alley, E-15. The E stands for Eerie.